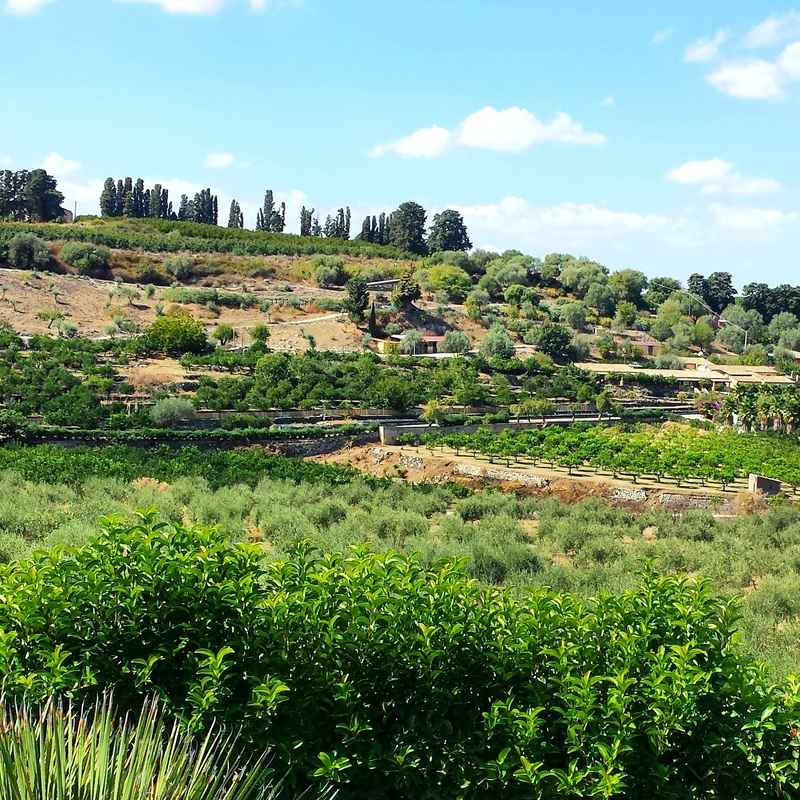 This landscape is from the terrace at Borgo Nocchiara near Carlentini. The evening before this photo was taken, I sat on a stone wall of the agriturismo looking out at these olive groves and vineyards. While the sun set, I listened to the sounds of the sheep’s bells hanging in the distance as the flock returned from pasture flowing down the far hill like a gentle stream.